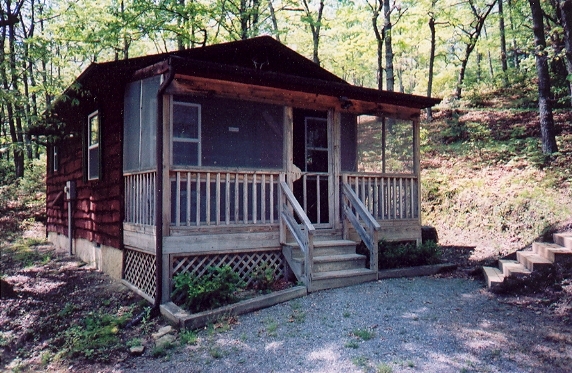 Revive your spirit at one of our fully furnished and equipped 1, 2 or 3BR cabins, shady RV sites, drive-to tent sites with water and electricity or secluded walk-to tent campsites. 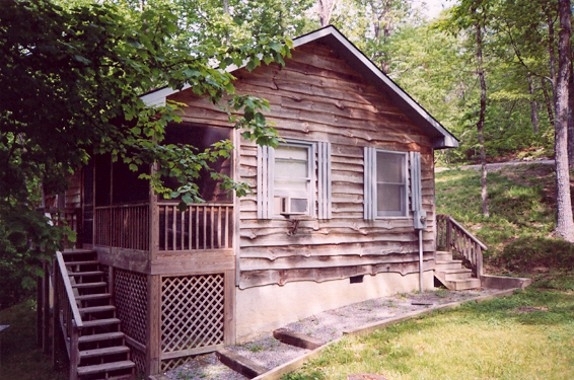 Located just minutes from 250 waterfalls, mountain biking, and hiking in Dupont & Pisgah Forests and Gorges State Park. Brevard, NC has restaurants, shopping, antiques and a vibrant arts community. Less than 1 hour to Asheville and the Biltmore Estate. Holiday Potluck September 5, 2010 to September 6, 2010 Holiday potluck for all of our guests. Sunday night, 6:30pm-8:30pm. We supply the hotdogs & brats, condiments and paper goods. 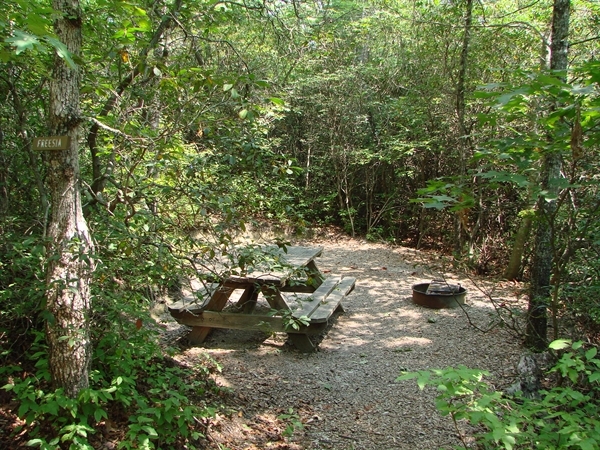 Want a clean, well-kept and quiet campground to stay at? This is it! I stayed at a hike-to site called Hemp. The site was very well-maintained and spotlessly clean when I arrived. 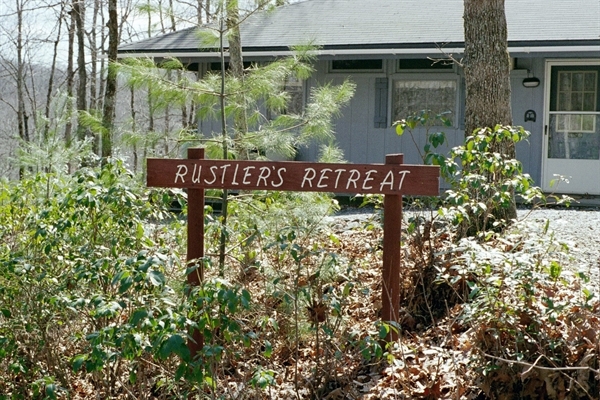 When I signed in, the owners walked me to my site personally, telling me about the campground as we walked. The bathhouse is clean and well-kept, as is everything here. 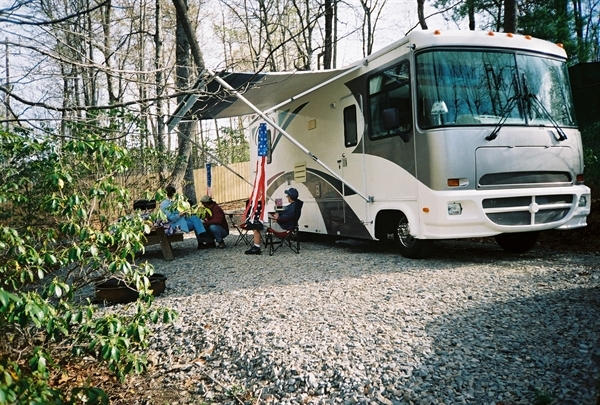 The campground and other campers are friendly, quiet, and respectful. 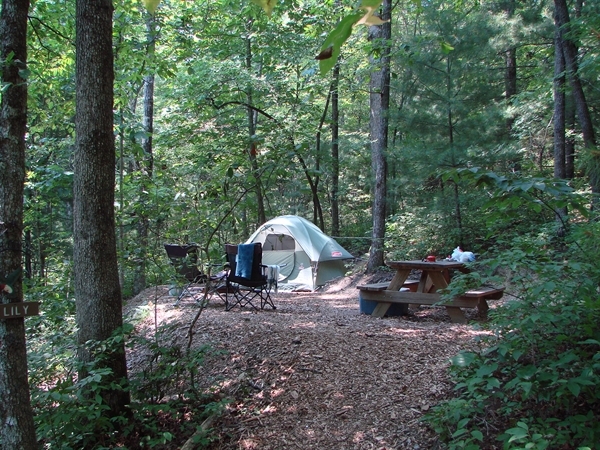 If you are traveling to this area, there is no better campground then Ash Grove! You are close to both Brevard and Hendersonville, so there is a lot to see and do. For nature lovers, hikers, bikers, and photographers there are many state and federal parks in the area and waterfalls abound. I will be staying at Ash Grove every chance that I get. Thank you Mark and Steven for a wonderful time! "What happens in your site, stays in your site". This pertains to noise, especiall during the quiet hours of 10pm to 8am.